The enzyme 5-α reductase type 2 (5-AR 2) plays a key role in the development and maintenance of the prostate gland. We evaluated the level 5-AR 2 protein expression and the relationship between methylation of the 5-AR 2 gene-promoter and 5-AR 2 protein expression of benign prostatic hyperplasia (BPH). A total of 37 prostate samples were evaluated. 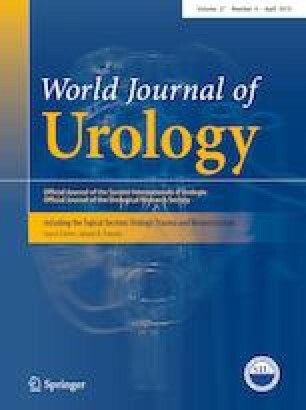 These included 22 samples from men undergoing transurethral prostate resections and 15 non-cancerous transition-zone human prostate tissue samples taken following radical prostatectomy. We quantified 5-AR 2 protein expression and gene-promoter methylation status using common assay procedures. Clinical variables included age, body mass index (BMI), prostate-specific antigen (PSA) levels, lipid profiles, and prostate volumes. Univariate and multivariate statistical analyses were performed followed by stepwise logistic regression modeling. We were able to extract DNA from 36 of the 37 tissue samples and 10 of these (28%) did not express the 5-AR 2 protein. In total, 26 patients (72%) had methylated 5-AR 2 promoter-regions. There was a strong correlation between methylation of the 5-AR 2 promoter-regions and low-absent 5-AR 2 protein expression (p = 0.0003). Increasing age significantly predicted methylation status and protein expression level (p = 0.013). The level of 5-AR 2 protein expression varies among prostate tissue samples. Methylation of the 5-AR 2 gene-promoter may account for low or absent expression of 5-AR 2 in adult human prostate tissues. Increased age correlates with increased 5-AR 2 gene-promoter methylation and decreased protein expression in men with BPH. Pil Moon Kang, Young Jin Kim, Jee-Yeong Jeong and Jae Il Chung contributed equally to this work. This study was supported in part by a grant from Kosin University College of Medicine (2016) (to P.M.K), and also by Korea National Research Foundation (KNRF) grants 2015M3A9B6073646, 2015R1D1A1A01058387 and 2017M3A9G7072564 (to J.Y.J). PMK: first author, conception and design, drafting the manuscript, statistical analysis, YJK: co-first author (PMK and YJK contributed equally to the work) performed the experiments (Tissue processing, DNA extraction and methylation analysis), WTS: protocol/project development, data analysis, SHK: critical revision of the manuscript for scientific and factual content, TSK: critical revision of the manuscript for scientific and factual content, BKC: pathological examination, immunohistochemistry analysis, WIS: critical revision of the manuscript for scientific and factual content, JYJ: co-corresponding author (JYJ and JIC contributed equally to the work) contributed reagents/materials/analysis tools, JIC: conception and design, Supervision.